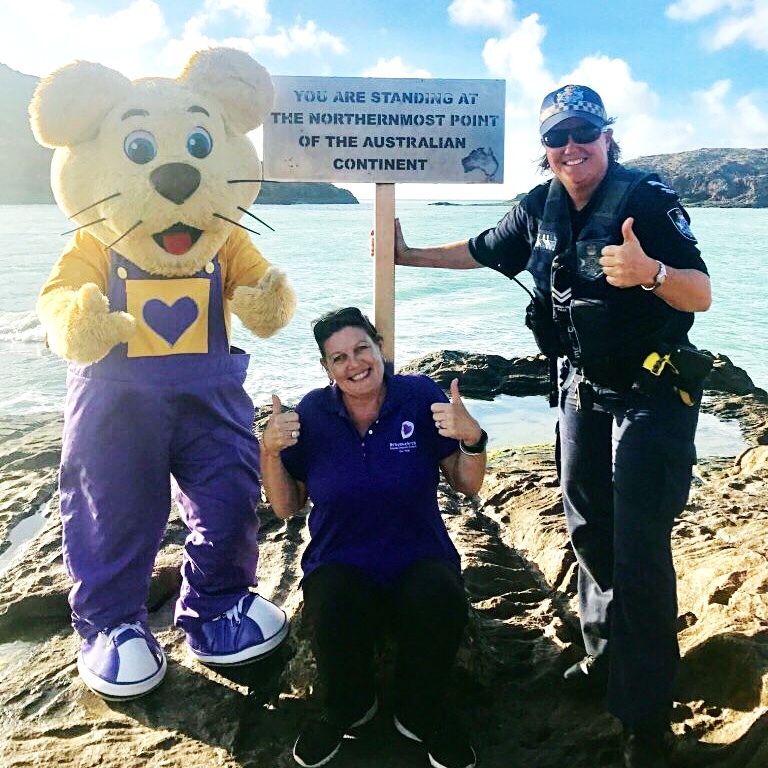 Dedicated Cairns Education Team members Narelle Spence and Donna McGraw have ventured to the northern most tip of Australia to help protect Aussie kids. 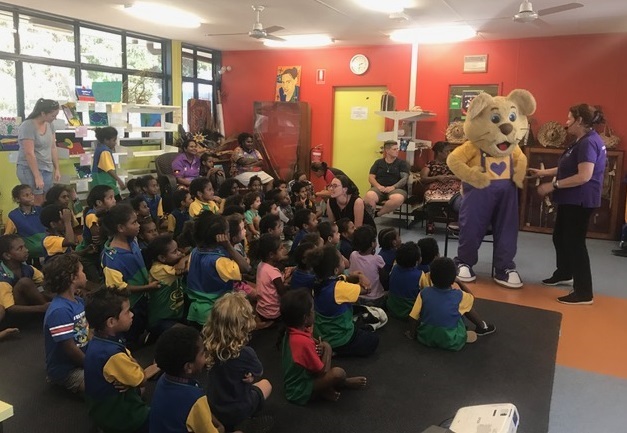 Helping to empower chidren in remote communities in Queensland’s north was Bravehearts’ mascot Ditto, who made special guest appearances in Bamaga, Injinoo, New Mapoon, Umagico and Thursday Island where he presented Ditto’s Keep Safe Adventure Show. Ditto’s Keep Safe Adventure Show is a fun and interactive live personal safety program designed to educate, empower and protect kids from a range of situations including child sexual assault and bullying. “Preventing child sexual assault starts with educating and empowering children with vital knowledge and skills to keep safe,” says Founder and Executive Chair of Bravehearts Hetty Johnston AM. “We must encourage teachers, carers, parents and other members of the community to play their part in creating child-safe environments”. Since 2008, Ditto’s Keep Safe Adventure Show has educated over 720,000 Aussie kids about personal safety. A special thank you goes out to Cape York Peninsula Lodge in Bamaga, Jardine Motel on Thursday Island and McDonalds Ferry for their support during the trip. Bravehearts’ Cairns Education program is funded by the Commonwealth’s Department of Social Services, National Initiatives Program. For more information about Bravehearts’ education programs, please click here. A donation of just $12 will empower one Australian child with personal safety skills learnt through Ditto’s Keep Safe Adventure Show. Photo credits: Queensland Police Service.